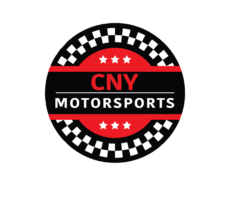 WOODHULL, NY – As the 2019 race season is about to kick off, Woodhull Auto Supply has returned as the hobby stock class sponsor. This will be the hobby stocks third season at Woodhull Raceway, growing each year the class is looking to have a number of competitors this year. Woodhull Auto Supply is located in Woodhull, NY. Starting in 1986 Woodhull Auto Supply has been selling quality auto parts. They can be contacted via phone or jump over to there website to check out some of their inventory. Last year the hobby stock division grew from the year prior and brought excitement to both drivers and fans. Joe Birdsall no. 63 clinched the championship over veteran racer Carter Dennis no. 22 by a mear 17 points. Les Smith no. 8x and Brent Williams no. 21 were also top competitors along with others in the class. Opening Night is scheduled for Saturday April 20. This will be the first race for the hobby stock division for the 2019 season.